Leading global supplier of corrosion-resistant, appearance-enhancing coatings for the marine, infrastructure, chemical processing, oil and gas, and power industries. We are offering Protective Coating to our clients. Today, as world seeks new sources of energy, energy producers strive for more efficient, cleaner and lower cost production. PPG helps energy producers meet this challenge with proven products by making plants and equipment last longer, work better, and lower on-going maintenance costs – even in some of the world's harshest environments. 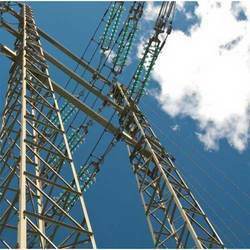 Decades of innovation and investment have given PPG proven, durable products for a range of Power sectors: Fossil fuel, Nuclear, Hydroelectric, Wind, Transmission towers. 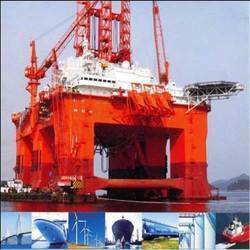 We are offering Protective Marine Coating to our clients. The environmental conditions found within the Petrochemical industry are some of the most extreme in the protective coatings industry. PPG Protective & Marine Coatings has a wealth of experience in this field to meet and service the requirements of our global customers. PPG offers an excellent range of protective coatings featuring our unique tank linings, general purpose epoxy primers and durable finishes. Our advanced coating systems, combined with our hydrocarbon Passive Fire Protection offer, give PPG the capability of providing a complete solution – whatever your need. 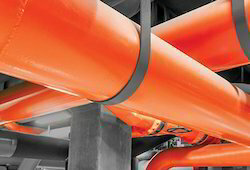 Continuous innovation and investment has given PPG proven, durable products for a range of Petrochemical applications: Jetty protection, Structural steel, Storage facilities, Process equipment, Pipes, Passive Fire Protection (PITT-CHAR® XP). We are offering Marine Coating Services to our clients. PPG continually strives to develop and market products that meet the current requirements of both operators and yards. Consequently, we have launched coatings that allow for extended laid-up periods, meet latest IMO PSPC regulations for water ballast tanks, and reduce the cost of onboard maintenance. In addition we have coatings solutions that reduce fuel consumption and carbon dioxide emissions as a result of improved hydrodynamics of the ship’s hull. 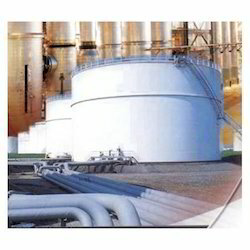 We are offering Protective Coating for Petrochemical Industry to our clients. The structural steel of petrochemical plants has traditionally been protected horn lira using concrete. However, it is possible for water to track through, or behind, the concrete to the underlying steel is not protected with an anticorrosive coating, it will cause corrosion or frost damage, resulting in the concrete from the steel. Repair may not be limited to reinstatement of the concrete but can often involve replacement of the corroded and weakened steel, resulting in shutdown of the plant and considerable associated costs. As an alternative to concrete, pmc offers pitt-char xp, an epoxy instrument passive fire protection (pfp) material that gives proven protection against all types hydrocarbon fires. Its unique flexibility provides protection against mechanical abuse and ensures intact fire protection after explosive incident, that often coincide with hydrocarbon fires. As a solvent-free it also has outstanding resistance to corrosion of the steel substrate to which it is applied. Furthermore, due to its low density, it's an excellent material for the protection of storage spheres where weight factors area major consideration. Protection against hydrocarbon fire to most structural steel sections for up to 3 hours. It also carries gasafe certification and delivers up to '• hours protection against fire to spheres and other storage vessels. Using state-of-the-art technology, our segment-leading Unrivalled Coatings requirements offer the best protection against steel corrosion in the most extreme environmental conditions. Combined with our hydrocarbon Passive Fire Protection offerings, PPG offshore systems provide exceptional protective coatings solutions feature our high performance tank lining range, general purpose epoxy primers and durable finishes. Our coatings have been tested by third party laboratories and certificates are available on request. Constant innovation and investment has given PPG proven, durable products for a range of Offshore applications: Topsides, Decks, Tanks, Passive Fire . 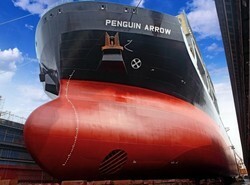 We are offering PPG Protective And Marine Coatings to our clients. PPG Protective & Marine Coatings (PMC) provides customers with the industry's broadest product offering, distribution, and knowledge. PMC provides customer with two comprehensive brand families: Amercoat and the new Sigma Coatings product line. Additionally, PMC offers the PPG High Performance Coatings industrial maintenance brand group and Keeler and Long coatings tailored and specified extensively for the power industry. PMC offers best-in-class products for: marine, infrastructure, chemical processing, power, oil and gas, offshore and rail industry segments. 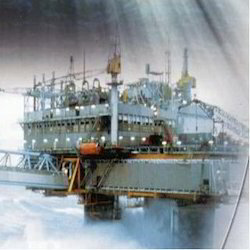 PMC protects customer’s assets in some of the world’s most demanding conditions and environments. 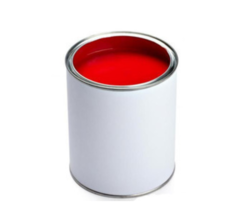 We are the leading supplier of the Heat Resistant Paints. The Heat Resistant Paint is formulated in tune with the laid international quality standards. Then this coating is applied for protection of primer as well as aesthetic look to the surface. It can be applied by brush after mixing it well and thinned down to application viscosity if required. This coating increases the life of parts on which they are applied for protection. This special coating is generally for the exterior of furnaces to achieve proper heat dissipation of exterior surface thereby providing an increase life furnace. Looking for Protective And Marine Coatings ?